it’s going to be a busy, fun- and travel-filled february for me, so it’ll be mostly photos all month. 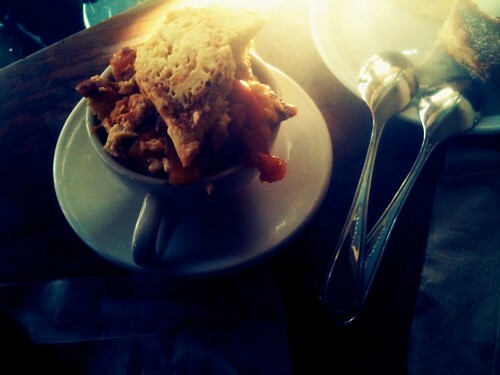 this brioche bread pudding comes from tartine and my delicious san francisco overnighter with emily over the weekend (also sneaked in a quick laughfest with melis). let’s just say we ate. and ate. and window shopped. and talked. and ate some more. it was good fun. and my gosh, the drive! let’s just say this is the best time in northern california. the hills between here and the bay area are ALIVE with the brightest green you’ve ever seen, especially in the clear after the weekend storm. more photos to come. also wanted to mention my first ever upcoming photo exhibit. my chocolate cake photo is currently featured in the mom 2.0 photo exhibit in the foto fest gallery in houston, texas. the exhibit preview looks amazing and let’s just say i am without words that my photograph is included among such incredibly talented photographers, many of my favorites included. speechless. thanks so much to tracey clark for pulling this amazing show off. and thanks to the lovely powers that be at cafemom, i’m lucky enough to be able to attend the artist reception later this month since i’ll be attending the mom 2.0 conference. also to come, our annual family beach trip and more photos like these from last year and these from the year prior. You’re a busy bee! I can’t wait to see all the new photos. Really love them all lately…heck…love them all, all the time. I’m feeling like you, super busy…my new journey as a mom is the best journey I’ve been on. We’re going on a mini-vacay to the country this week and I can’t wait to get out of the city. Weeee!! i am good! it was fun! and i love the flare in this shot! sweeeeett!